Indian Railways has asked NIFT (National Institute of Fashion technology) to redesign the blankets that it provides to passengers in AC coaches. The move is part of several measures that the Suresh Prabhu-led Indian Railways says it is taking to maintain standards of hygiene in the linen and blankets used in trains. Asked whether reports of Indian Railways doing away with blankets in AC-1st class coaches are true, Saxena said, “The proposal is under consideration. There is a thought process that if the average temperature in AC-1st class coaches is increased from 19 degree to 24 degree, then the need for blankets won’t arise. However, nothing has been finalised yet.” According to Saxena, Indian Railways has already started providing covers with blankets for AC-1st class coaches. “This will be complete for all trains soon. These covers will help maintain hygiene. But, the number of blankets in AC-2 tier and AC-3 tier coaches is very high, for that we are considering washing them every 15 days and sanitizing them as frequently as possible,” Saxena elaborated. Meanwhile, there are plans to increase the number of mechanised laundries across the country. “Presently 55% of the total linen of Indian Railways is washed in mechanised laundries. Passengers don’t complain of linen that is washed in mechanised laundries. The – ones are not as clean. By March 2018, we plan to take this percentage up to 70%,” Saxena added. CAG, in a report tabled in the Parliament recently, has come down heavily on Indian Railways saying that the washing and sanitation of linen and blankets are not done as per Railways norms. The audit report has also highlighted the need to increase the pace of setting up of mechanised laundries and prescribe norms for quality standards for washed linen, reported PTI. A report by CAG has also called food in Indian Railways “unfit for human consumption”. Indian Railways is the national carrier – a fact that makes it even more important that it maintains cleanliness and provides better passenger amenities. Even as it focuses on introducing new trains such as Tejas and Humsafar that enhance passenger comfort and experience, it should look to improve its service standards at all levels in the existing trains as well. Passengers would be a lot more willing to pay a premium for clean linen, blankets and hygienic food if they are sure of the quality and standards being maintained. There has been a slight decline in the number of train accidents after implementation of a series of safety measures, including use of modern technology, according to Railway Ministry data. In 2014-15, the number of accidents was 135 which decreased to 107 in 2015-16 and further to 104 in 2016-17, the report said. This year, train accidents decreased from 29 to 15 during April-June in comparison to the corresponding period of 2016, an improvement of 48.3 percent. “There is a focus on accident prevention measures with safety getting top billing. Railway Minister Suresh Prabhu had launched ‘mission zero accident’ in the Rail Budget 2016-17 for carrying out a special drive to curb mishaps,” said a senior Railway Ministry official. Safety measures, including speedy track renewal, ultrasonic rail detection system and elimination of many unmanned level crossings on priority basis, have been undertaken to prevent rail accidents. The 2016-17 fiscal saw elimination of 1,503 unmanned level crossings and 484 manned level crossings by construction of road over-bridge and under-bridge, a record so far, the official said. Since unmanned level crossings are responsible for maximum number of train accidents, the railways intends to eliminate all such crossings on broad gauge section by 2020. Rashtriya Rail Sanraksha Kosh, a special safety fund, was created in the Budget 2017-18 with a corpus of Rs. 1 lakh crore over a period of five years for financing critical safety- related works. The railways has also inducted LHB coaches replacing conventional ones in a phase-wise manner resulting in reducing the chances of derailment and mitigating the possibility of grievous injury or death in case of accidents, the official said. LHB coaches have anti-climbing features and provision of superior braking and lesser chances of uncoupling of coaches in case of accidents. Besides, the railways has speeded up the use of modern technology such as ultrasonic system to detect defect on tracks, train protection warning system (TPWS) and train collision avoidance system (TCAS) to prevent accidents, the official said. While the TPWS has been installed on 342-km route, the TCAS is being tried on 350-km route. Good track condition is crucial for safe running of trains and so track renewal has been undertaken on a priority basis and adequate fund has been allocated for this, said the official. The allocation for track renewal has been almost doubled from the last five years average of Rs. 5,548.6 crore to Rs. 9,961 crore in the Budget Estimate of 2017-18. Plagued with complaints of dirty blankets, the Indian Railways has firmed up an action plan to increase the frequency of washing blankets and replace the existing ones with designer, lightweight blankets in a phased manner. Besides, used blankets would be sanitised on a regular basis before being given for further use. Though the directive is to wash the blankets every one or two months, a CAG report had recently highlighted the unhygienic condition of blankets which were not washed for even six months. However, smelly blankets may soon become a thing of past on trains. The railways have roped in the National Institute of Fashion Design (NIFT) to design lightweight blankets with less wool content. A trial of ‘thin, cold washable blankets’ is also being carried out in the Central Railway zone as a pilot project. “Our aim is to provide washed blankets along with fresh linen in trains for each journey,” said a senior Railway Ministry official in the housekeeping directorate who is involved in the task. Currently about 3.90 lakh sets of linen are provided per day comprising two bedsheets, a towel, pillow and blanket for each passenger in AC classes. The plan envisages increasing the frequencies of washing of blankets to begin with and replacing the existing ones with the newly designed lightweight blankets made of soft fabric in a phased manner, he said. Railways have already started changing the cover of blankets in some sections while frequency of washing is being increased from monthly to fortnightly and weekly, said the official. Railways had recently held a meeting on linen management which was attended by various stakeholders including mechanised laundry operators, suppliers of cleaning chemicals, linen suppliers and senior railway officers. It was decided to implement the plan for improvement of linen management with aim of providing clean, hygienic and good quality linen to passengers travelling in AC classes. Preparations are are being made to introduce lightweight blankets made of soft fabric and these will be washed after every use, the official said. There are about 50 mechanised laundries operational at the moment and ten more will be opened shortly. 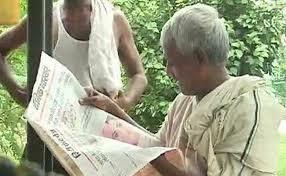 In Bihar’s Rajgir assembly constituency, 100 kilometres from Patna and in the home district of Chief Minister Nitish Kumar, Rajkishore Prasad and Sanjay Kumar Yadav are busy dissecting the day’s newspaper, seated some distance away from a railway line. They are trying hard to make sense of the political events in the last few days that saw Nitish Kumar ditch ally Lalu Yadav for the BJP. They are so engrossed they almost fail to notice when a train passes by. Sanjay is particularly upset. Yadav voters like him are Lalu Yadav loyalists, a sizeable number in Rajgir along with forward castes. Their combined votes with Dalits, Muslims and Other Backward Castes like Kurmis and Koeris, helped Nitish Kumar’s Janata Dal United board the victory train in Rajgir – a seat the BJP won continuously, except one, since 1980. “It is like this. You start farming with one person, you sow the crop, you prepare it. Then, when it comes to the harvest, you go along with some other person… do you think this is acceptable?” says Sanjay, citing a farming parallel. Some distance away, in the Muslim majority Kada village, the politics of crossovers is the hot discussion topic, with 21-year-old private teacher Mohd Saqib admitting Nitish Kumar may have the upper hand for now. “I think as of now Nitish has the numbers and the support base of the BJP. How Lalu will recuperate is difficult to say,” says Mohd Saqib. Popular perception about the 2015 assembly polls suggests it was Lalu Yadav, almost politically defunct back them, who gained more from the alliance with Nitish Kumar. However, independent research by the portal India Spend suggests otherwise. Almost all of Lalu Yadav’s votes transferred to Nitish Kumar in over 75 seats in the 2015 polls, but the JDU votes did not go to RJD en masse. In over a decade it is the BJP that has been the most popular party in Bihar, followed by the RJD. Nitish Kumar’s party is a distant third, with only 17 of 100 people directly voting for the JDU in the last decade. “You never know, he could ditch the BJP again. If he does so he will be destroyed,” chuckles Ram Chander Singh, a well off farmer from the upper caste Bhumihar community, who adds that Nitish Kumar ditching Lalu Yadav is perhaps the best thing he has heard in the last two years. “Yes, perhaps Nitish disrespected the mandate but he did well for himself. The government was not working well at all,” he adds. Weddings at exotic foreign locations are passe. In India, they could soon be held at some of the most familiar of landmarks -railway stations.The Indian Railways has come out with a policy which “encourages viable proposals for generating revenue from non-conventional resources”.One of them is to rent out station buildings for a wide variety of events, including wedding ceremonies. In response to a unstarred question in the Lok Sabha on Wednesday , the ministry replied that portions of stations which were less busy could be rented out for marriage ceremonies and other programmes. Zonal railways and divisions have been empowered under the policy to take the decision and work out the modalities of which stations to rent out and which part of the station would be rented out for the ceremony . The focus would be on revenue maximisation. Officials say countries like Japan earn up to 30% from non-tra Japan earn up to 30% from non-traditional sources. Advertising revenue is tipped to be the top grosser and railways has already started emphasising on this head, with ` 2,000 crore targeted as the earning from advertising in 2017-18. When contacted, quite a few Southern Railway officials said they were not aware of the development. One of them, however, pointed out that the policy made sense for rural areas where railway stations were among the few proper structures with abundant water and electricity. In Chennai too, the official said, stations on the Beach-Velachery Mass Rapid Transit System (MRTS) line running through the heart of the metropolis had huge vacant spaces. These spaces were not being used for any commercial purposes and could be one of the options, he added. The Nerul-Belapur-Uran link railway project is likely to see the light of the day by December-end. CIDCO MD Bhushan Gagrani has fast-tracked the ongoing project and directed the Central Railway to complete the work. Both CIDCO and Central Railway have agreed to a 67:33 cost-sharing formula. “We have laid one track along the stretch to Kharpokar and work is on to complete the other track,” a CIDCO official said. Central Railways also needs to complete the signalling and electrification work and do the trial runs for obtaining the safety certificate, the official added. With a view to providing a new link, that is already delayed by several years, CIDCO has decided to complete the work on two of the four stations on the new link corridor. The town planning body has kept the work of one station under abeyance while the fourth one is in the tendering stage to finalise the bidder. The first four stations are Sagarsangam, Targhar, Bamandongri and Kharpokar. Since Sagarsangam is close to Seawoods and Belapur and there is not much traffic in the area, CIDCO has kept the construction of this station in abeyance while Targhar is in the tendering stage, Chotaliya said. The work on the other railway stations—Bamandongri and Kharpokar is underway. The new stations on the Uran link corridor are Sagarsangam, Targhar, Bamandongri, Kharpokar, Gavan, Ranjanpada, Nhava Sheva, Dronagri and Uran. Nerul–Uran rail line – an under construction railway line in Mumbai is part of the Mumbai Suburban Railway. The 27-kilometer line connects Nerul with Uran and has 11 stations. The first phase of the line, a 12-km section from Seawoods to Kharkopar, is scheduled to be completed by December 2017. The remaining section of the line is expected to be completed by June 2019. The City and Industrial Development Corporation of Maharashtra (CIDCO) was appointed as a New Town Development Authority in 1970. Government acquired the land from 95 villages and handed over to CIDCO for development of towns. To decongest the mother city, Mumbai, CIDCO developed 14 nodes in Navi Mumbai. The development of Navi Mumbai International Airport and 6 railway corridors in Navi Mumbai were meant for increasing connectivity between the towns, nodes and mega establishments.The major features of the rail corridor are direct access from residential to railway station by foot, convenient interchange facility from one corridor to another, double discharge platforms at every station, easy to follow routes and comfortable and pleasant journeys form the key features of the commuter railway system in Navi Mumbai. The proposed Nerul / Belapur – Uran railway line will help to accelerate the growth of Navi Mumbai by providing direct access between Uran town, Jawaharlal Nehru Port, and the Newly developed areas of Mumbai. The Railway line will cater to the passenger traffic demands generated by Jawaharlal Nehru Port, port based industries, ONGC, Defence establishment at Uran and other residential, industrial, and warehousing complexes in Uran taluka. The Nerul/Belapur-Uran Railway corridor is attached to the Mumbai CST-Panvel Harbour line (Mumbai Suburban Railway). The railway Project between Nerul and Belapur- Seawood-Uran was approved by Ministry of Railways and CIDCO Board. The work on the project began in July 1997. However, due to various unforeseen reasons, the work was delayed and hence stalled, until recently when the project was revived after the tripartite agreement between Railways, CIDCO and Govt. of Maharashtra was executed on 29.07.2011. The original estimate cost for the project was 495 crore in 1997, which escalated to 1,782 crore. The cost is being shared by CIDCO and the Indian Railways (67:33). Construction on the Kharkopar, Bamnadongri and Targhar stations began in the first week of March 2017. CIDCO chose to postpone construction of the Sangarsangam station in order to complete the rest of the first phase by the December 2017 deadline. The total length of the corridor is 27 km and consists of 10 stations; 4 major bridges; 5 Road Over Bridges,15 Road under bridges, 1 track under bridge. The 270 mt platforms for four Broad gauge (B.G.) tracks to cater 12-car electric multiple unit rakes with double discharge. The railway track structure shall comprise 60Kg/m I-class rails, laid on mono block prestressed concrete sleepers to 16660/Km sleeper density.The bridges will be built to Modified Broad gauge (MBG) standard of loading. Stone ballast 65mm gauge with ballast cushion of 300mm below the underside of sleepers will be provided.The 10 stations on the proposed railway line are Seawoods, Sagar Sangam, Targhar, Bamandongari, Kharkopar, Gavhan, Ranjanpada, Nava-Sheva, Dronagiri and Uran. Provisions are made for one arm of the railway line to go to CBD Belapur station from Sagarsangam station.The project is to be completed in two phases Nerul-Seawood to Kharkopar and Kharkopar to Uran. The deadline for the first phase of the project till Kharkopar is December 2017. With a lizard found in the food served to a passenger onboard Poorva Express, it seems the Indian Railways has learned nothing from the Comptroller Auditor General of India (CAG) report, that stated the food sold at railway stations is “unfit for human consumption”. A lizard was found in a meal served on the Poorva Express following which the passenger filed a complaint with the Union Railway Minister Suresh Prabhu through Twitter. 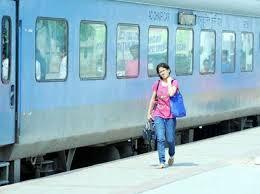 Last week, a scathing report by the CAG said that the hygiene standards at railway catering units are below par. The CAG performance audit found unpurified tap water being used to make beverages, uncovered and unwashed waste bins, food left out in the open, and rats and cockroaches at catering units in trains and stations. Articles unsuitable for human consumption, contaminated foodstuff, recycled foodstuff, shelf life expired packaged and bottled items, unauthorised brands of water bottles, etc., were offered for sale on stations,” it observed. The report also highlighted that the food served was less than the prescribed quantity, unapproved packaged drinking water was sold, proprietary article depot items were sold at railway stations at maximum retail price, with weight and prices different from the open market. Rashtriya Janata Dal (RJD) Leader Jai Prakash Narayan Yadav on Wednesday submitted an adjournment motion notice in the Lok Sabha, over the poor quality of food being served by the Indian Railways. A commuter train crashed into a buffer in Barcelona’s Francia terminus on Friday morning, injuring at least 39 people, one of them seriously, emergency services said on Friday. The force of the crash crumpled the front of the train against the buffer and detached a sheet of metal. Nineteen of the injured, including the driver, were taken to hospital, emergency services said, while medics treated others on stretchers on the platform. They had previously given the number of injured as 48. Many of the passengers were already standing, ready to get off, when the train crashed, the newspaper La Vanguardia reported. The train was coming from the village of Sant Vicenc de Calders in the province of Tarragona on the R2 line of the Rodalies commuter rail service, emergency services said. The state-run railway company Adif said an investigation had been opened. Food Safety and Standards Authority of India (FSSAI) CEO Pawan Agarwal said his organization and the Railways are working in the most systematic manner to ensure absolute food safety for passengers. “We have appointed executive directors of health, along with additional food safety commissioners to work as per the railway eco-system,” said Agarwal while commenting on complaints filed by passengers over staple pins being found in eatables. Agarwal further stated that food safety officers have been designated and are being trained to ensure robust functioning of the railways. “Our standards for food supplements have been collectively assembled by our panels in two to three years and it is a continuously evolving process. If they feel it needs to be changed, the scientific panel is examining. The new standards will be applied from January 1. However, we are hoping before that, all the discussion materialises and we can bring the required changes,” he added. “Doping substances have been under stress. We are working in tandem with the National Anti-Doping Agency, wherein we have advised them to collect samples for testing for NADA to evaluate,” he added while commenting over collection of drug samples in various states. The FSSAI has banned the use of staple pins in tea bags from January next year as it can cause serious health hazards, Agarwal said. As per the FSSAI order, at present, there are two types of tea bags available in the market, namely stapled tea bags and knotted tea bags. German conglomerate Siemens and Canadian aerospace company Bombardier are reportedly close to forming joint ventures focused on train production. Bloomberg, citing sources familiar with the matter, reported last month that the companies were in talks that would combine their existing train operations into two ventures. Bombardier would control the train manufacturing business while Siemens would run a venture that would make train signaling equipment. Both companies are currently cutting jobs amid pressure in the train manufacturing market from China’s CRRC Corp., which formed when that country’s two largest train producers merged in 2015. One analyst told Bloomberg that Siemens, in particular, could benefit from controlling the signaling equipment businesses, which features higher profit margins. In addition, Siemens and Bombardier currently operate in many of the same areas in Europe.